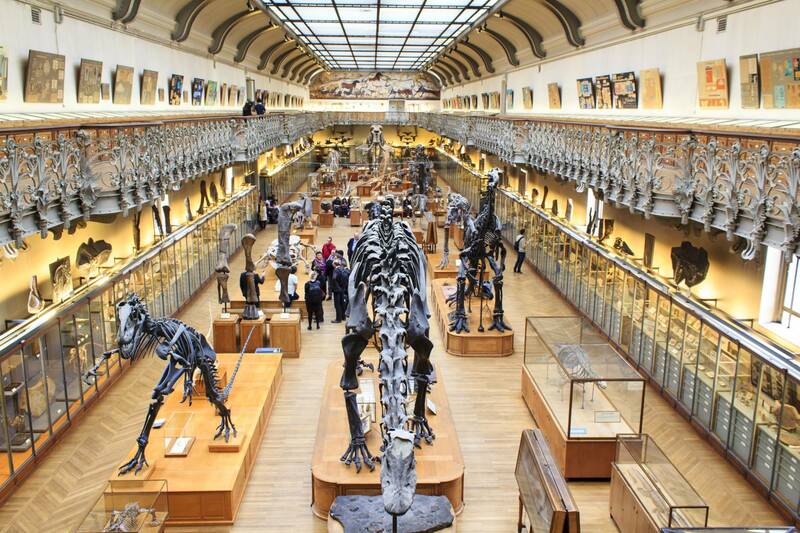 The French National Museum of Natural History, known in French as the Muséum national d'histoire naturelle (abbreviation MNHN), is the national natural history museum of France and a grand établissement of higher education part of Sorbonne Universities. The main museum is located in Paris, France, on the left bank of the River Seine. It was founded in 1793 during the French Revolution, but was established earlier in 1635. 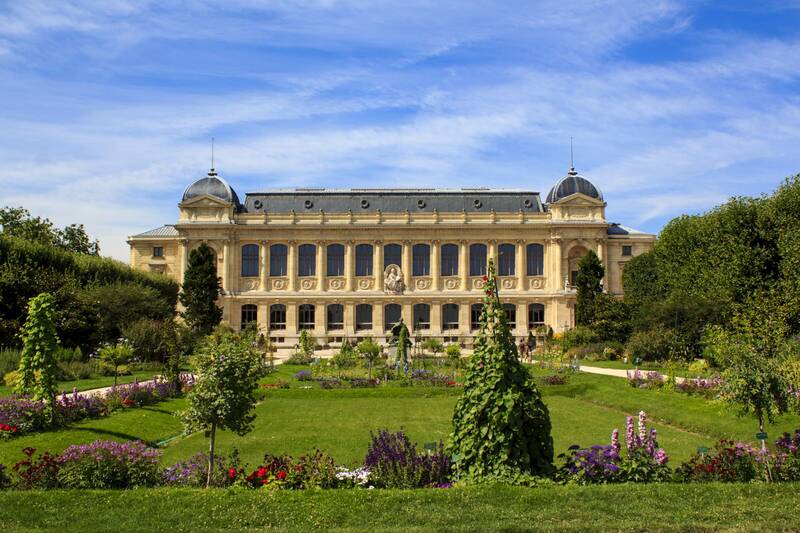 The museum has 14 sites throughout France, with four in Paris, including the original location at the royal botanical garden, the Jardin des Plantes, which remains one of the seven departments of MNHN. In the 19th century Argentine naturalist Francisco Javier Muñiz developed a collection that he intended to be used to create a natural history museum. The artifacts were sent (donated or possibly donated by force) to Juan Manuel de Rosas, the dictator of the Argentine Federation, whose support was required to establish a museum. Rosas, in an attempt to build alliances overseas, sent collected fossils to Jean Henri Dupotet, Rear Admiral of the French Navy. Dupotet then sent them to Paris. In France, the Muñiz collection ended up in the National Museum of Natural History where they were studied by Paul Gervais. In 1762 Jean Baptiste Christophore Fusée Aublet was sent to Cayenne in French Guiana, where he assembled a vast herbarium which allowed him to prepare his Histoire des plantes de la Guiane françoise, published in 1775 and including almost 400 copperplate engravings. When Fusée Aublet died at Paris in 1778, he left his herbarium to Jean-Jacques Rousseau, though the latter possessed it for only two months before he too died. It was eventually acquired by the Muséum national d'histoire naturelle in 1953. During the French Revolution the Museum expanded its collection substantially by claiming objects from the cabinets of the aristocracy and from other institutions, such as the Royal Academy of Sciences and the École Royale Vétérinaire d'Alfort. The museum comprises fourteen sites throughout France with four in Paris, including the original location at the Jardin des Plantes in the 5th arrondissement (métro Place Monge). The galleries open to the public are the Cabinet d'Histoire du Jardin des Plantes in the hôtel de Magny, the Gallery of Mineralogy and Geology, the Gallery of Palaeontology and Comparative Anatomy, and the famous Gallery of Evolution (grande galerie de l'Évolution). The Paleontology and comparative Anatomy Gallery is a 540 million year journey and one of the highlights of the museum. It starts with the famous fossils from the Paleozoic Era from 540 to 250 million years ago, such as the gigantic Dunkleosteus. The Mesozoic Era, 250 to 65 million years ago, marks the golden age of the dinosaurs such as the Diplodocus, Iguanodon, Carnotaurus, Triceratops. One contemporary of these animals was Sarcosuchus, a giant crocodile with terrifying teeth. The Muséum's Menagerie is also located here. The herbarium of the museum, referred to by code P, includes a large number of important collections amongst its 8 million plant specimens. The historical collections incorporated into the herbarium, each with its P prefix, include those of Jean-Baptiste de Lamarck (P-LA) René Louiche Desfontaines (P-Desf. ), Joseph Pitton de Tournefort and Charles Plumier (P-TRF). The designation at CITES is FR 75A. It publishes the botanical periodical Adansonia and journals on the flora of New Caledonia, Madagascar, and Comoro Islands, Cambodia, Laos, and Vietnam, Cameroon, and Gabon. The musée de l'Homme is also in Paris, in the 16th arrondissement (métro Trocadéro). It houses displays in ethnography and physical anthropology, including artifacts, fossils, and other objects. Three zoos, the Paris Zoological Park (Parc zoologique de Paris, also known as the Zoo de Vincennes), at the Bois de Vincennes in the 12th arrondissement, the Cleres Zoological Park (Parc zoologique de Clères), at a medieval manor in Clères (Seine-Maritime), and the Réserve de la Haute Touche in Obterre (Indre), the largest in France. Three botanical parks, the Arboretum de Chèvreloup in Rocquencourt next to the Château de Versailles, the Jardin botanique exotique de Menton and the Jardin alpin de La Jaÿsinia in Samoëns. Four scientific sites, the Institut de Paléontologie humaine in Paris, the Centre d'Écologie générale de Brunoy, the Station de Biologie marine et Marinarium de Concarneau, and the CRESCO (Centre de Recherche et d'Enseignement sur les Systèmes Côtiers) in Dinard. National Museum of Natural History | eTips Inc.